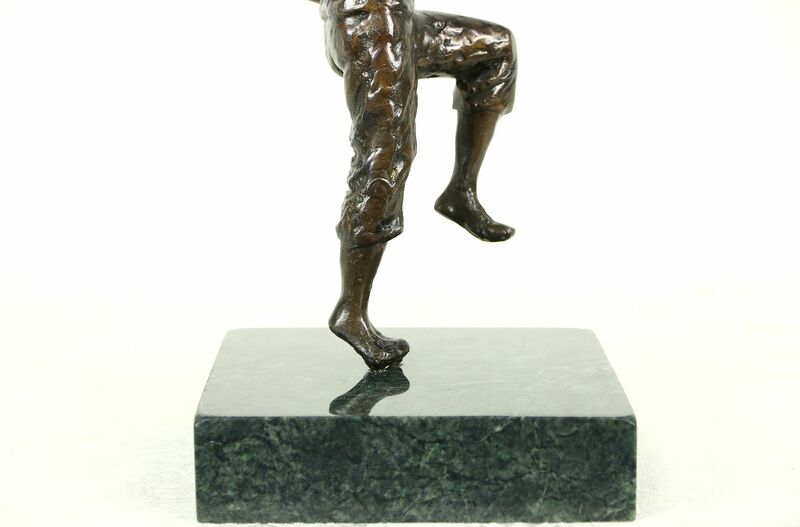 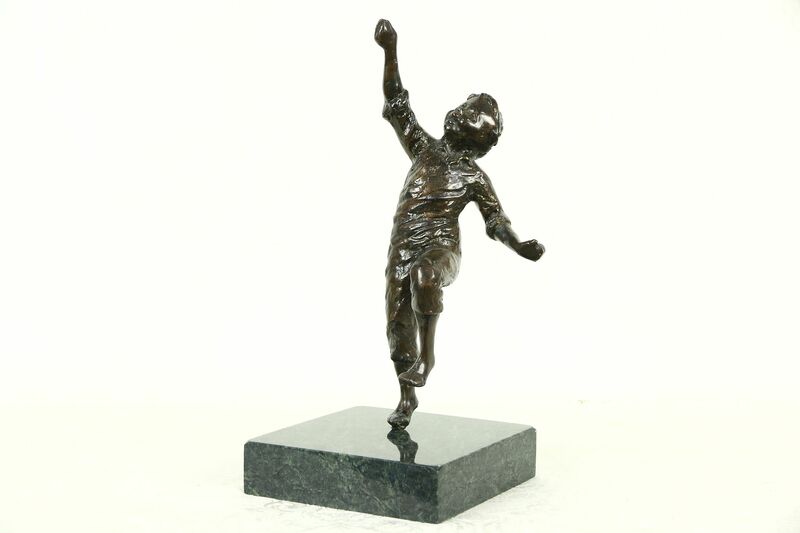 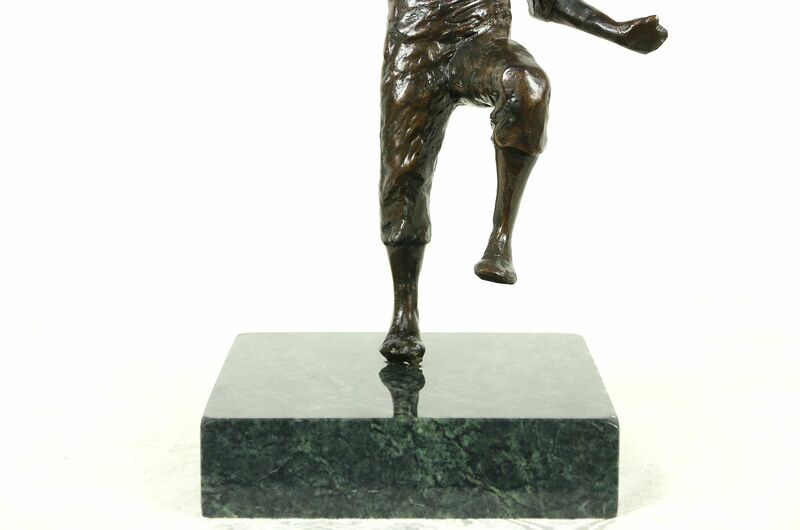 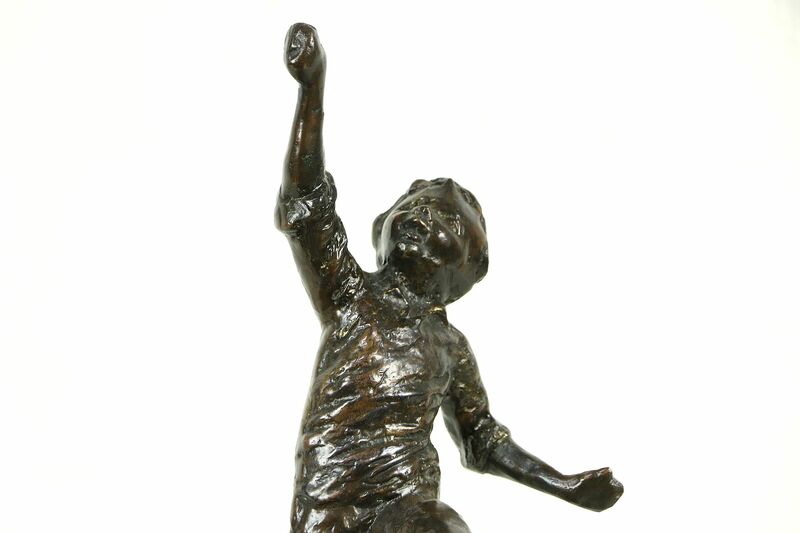 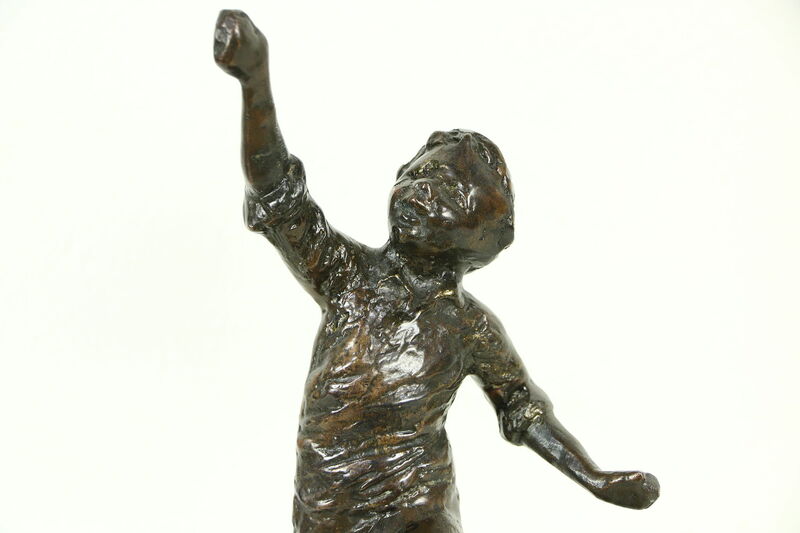 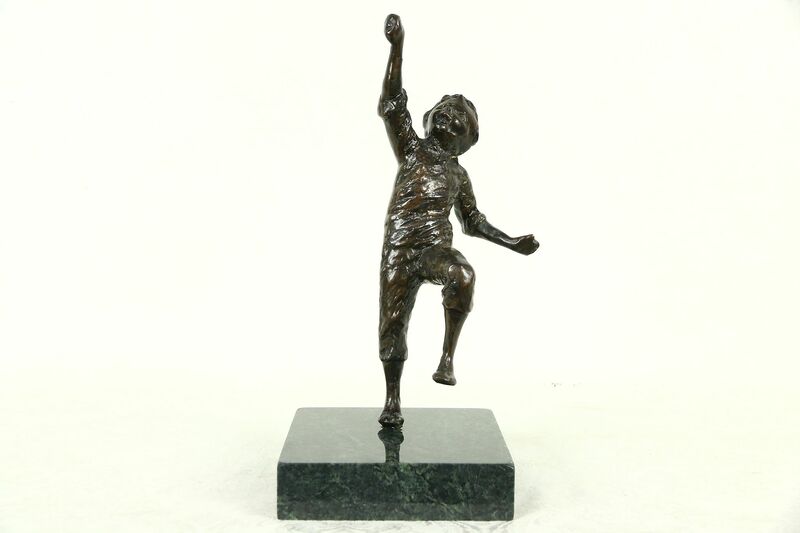 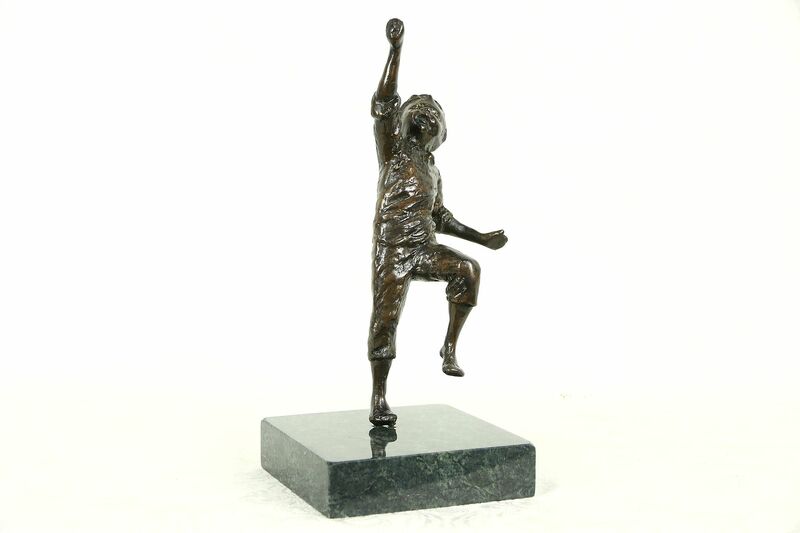 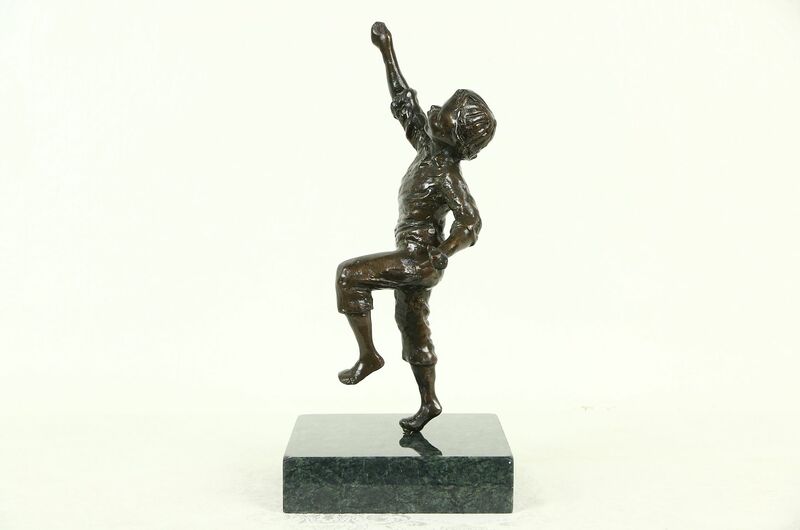 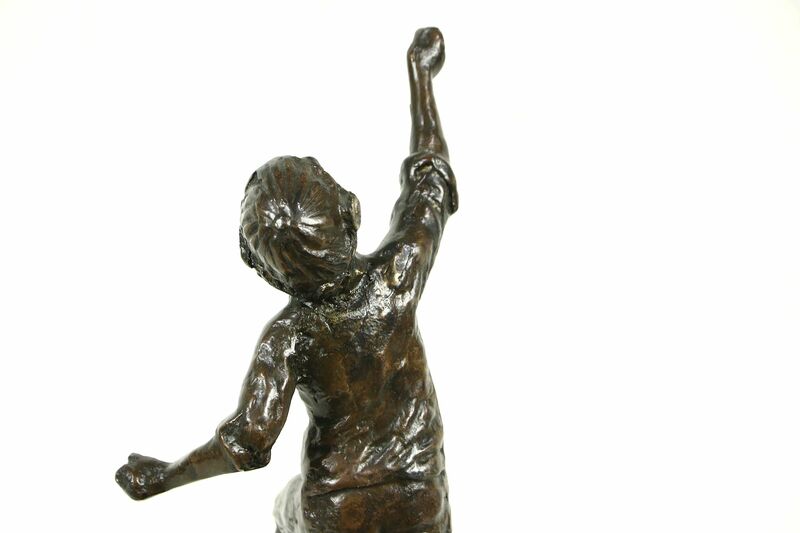 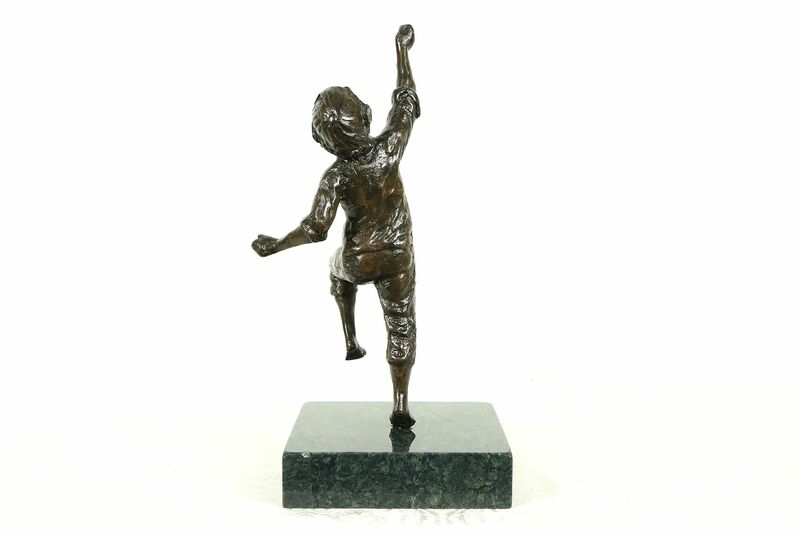 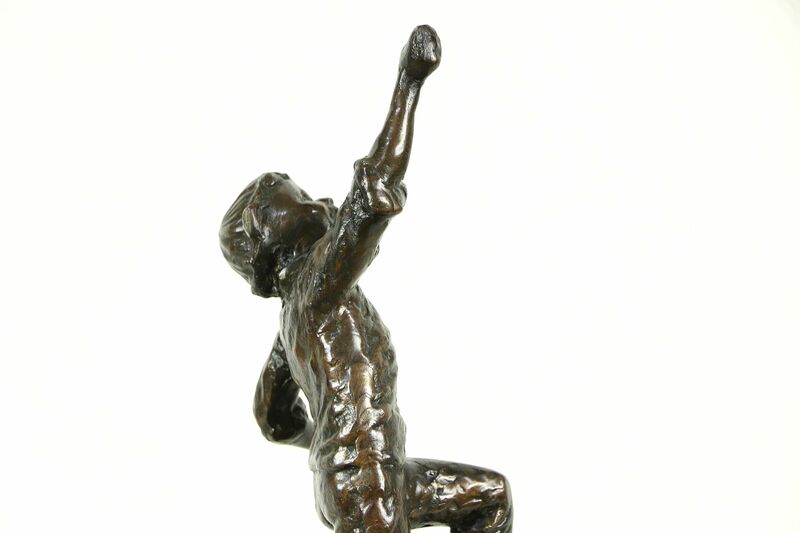 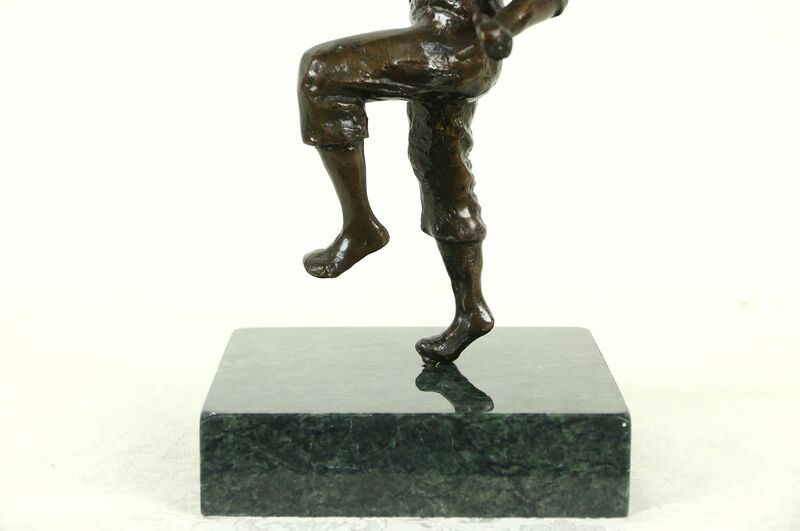 A cast genuine bronze sculpture of a running boy is shown looking up at something we don't see. 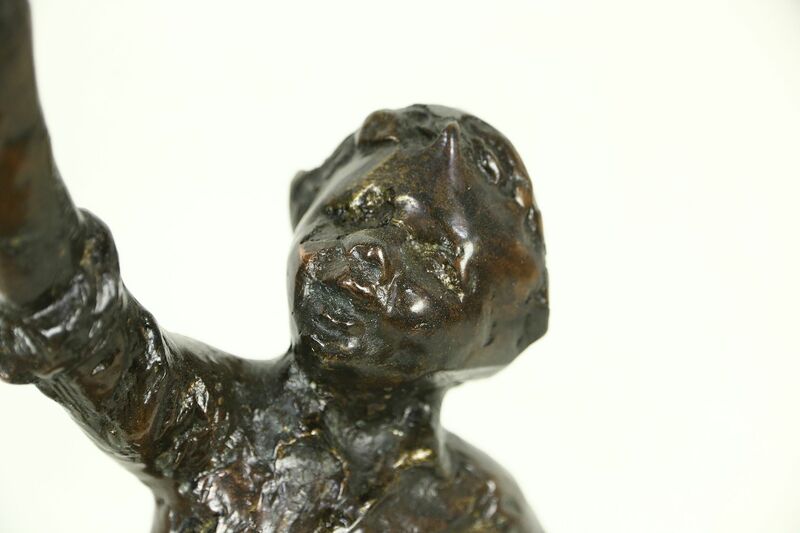 The dark chocolate patina is in very fine condition on this work of art from about 50 years ago. 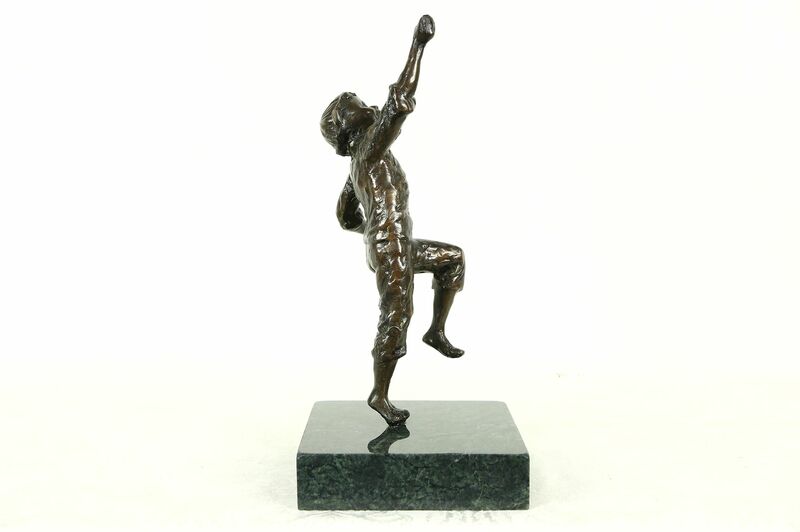 The exuberance and energy of the figure is beautifully captured. 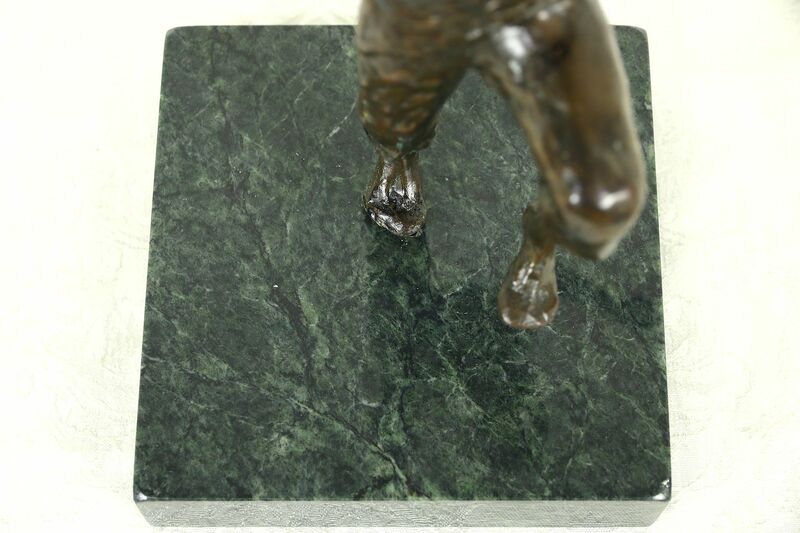 The statue lifts out of the green marble base. 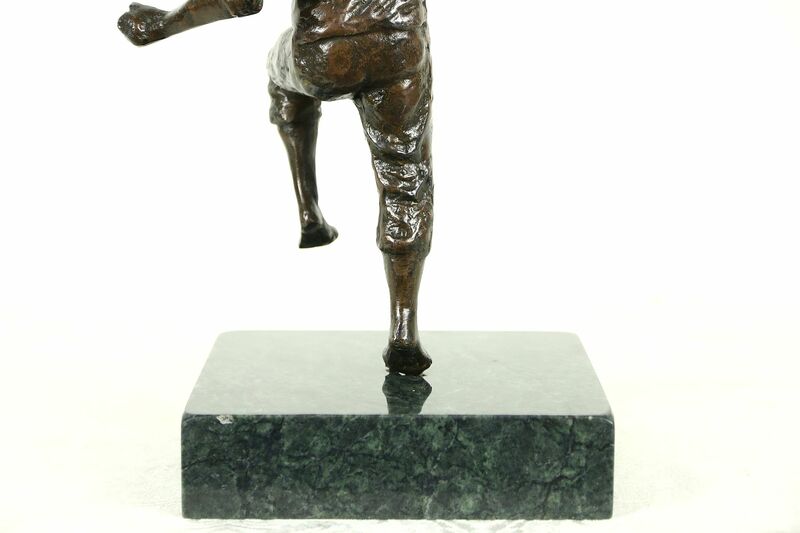 There is no signature. 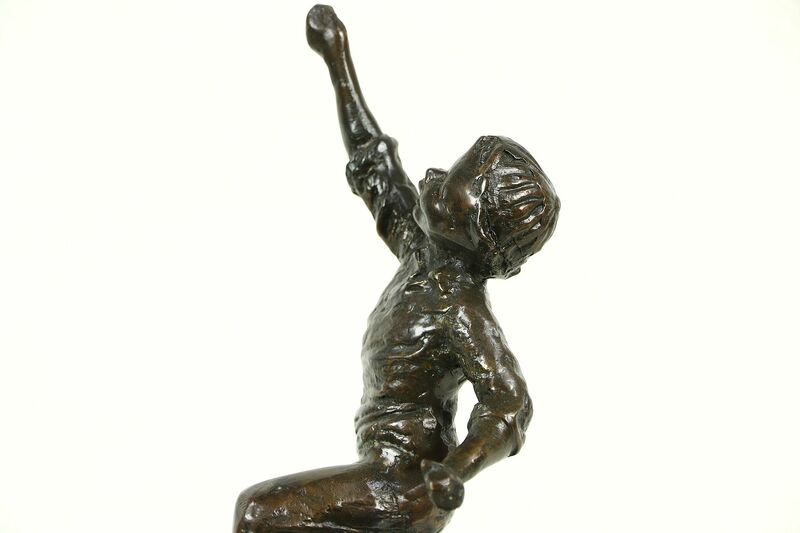 Size is 6" square and 13" tall.